New audio tapes released Thursday, reveal chilling details about what the North Carolina native convicted of killing his pregnant wife and two young daughters told investigators behind bars. DISCLAIMER: This story contains graphic details that may be disturbing to some. New audio tapes were released Thursday, revealing chilling details about what the Colorado man convicted of killing his pregnant wife and two young daughters told investigators behind bars. 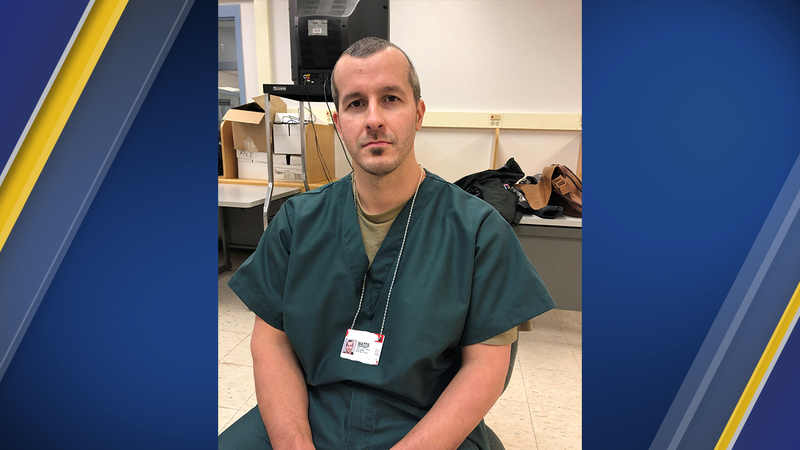 The details surfaced when investigators met with Chris Watts on Feb. 18 at the Dodge Correctional Institution in Waupun, Wisconsin. Watts pleaded guilty in November to killing his wife Shanann and their daughters, 4-year old Bella and 3-year old Celeste. In the newly-released tapes, Watts tells investigators that Shanann knew he was having an affair and told him that she wouldn't let him see their kids anymore. "We were talking about (inaudible) I don't love you anymore, and she was like 'you're never going to see the kids,'" he said. Watts told investigators he put both of his hands around his wife's neck and strangled her at their home. "Every time I think about it, I'm just like, 'did I know I was going to do that before I got on top of her?'" he told investigators. "I don't even want to say it felt like I had to. It just felt like there was already something in my mind that was implanted that I was gonna do it and when I woke up that morning it was gonna happen and I had no control over it." He said his wife never fought back or screamed. "It felt like time was standing still," he said. "It was kind of like I just saw my life just disappearing before my eyes but I just couldn't let go." The tapes also confirm information that came out in a Dr. Phil interview earlier this week -- that Bella walked into the bedroom after Shanann was killed. "I was just getting the sheet off the bed and she walked in, and she had her little pink blanket with her," Watts told investigators. "She was like, 'What's wrong? What's wrong with mommy?'" Watts said he told Bella that her mother just wasn't feeling well. When he got to that part, he told investigators he didn't feel comfortable talking about what happened. "Those are my kids, that's my baby, I talk to them every night," he said. "I don't see how this could happen. Every time I see pictures of them I don't know how this could have happened." He told investigators that Bella watched as he carried his wife's body downstairs and loaded her into the truck. "She started crying a little bit, was like, 'what's wrong with mommy?'" he said. That's when Celeste woke up, he said, and he put the girls in the back seat. As he drove to the oil site where he had worked, Watts told investigators his daughters dozed off and on and laid in each other's laps. At the oil site, Watts told police he took Shanann's body out of the truck and laid her on the ground. The girls then asked him: "What are you doing to mommy?" Watts said he killed Cece first, using a blanket over her face. Bella was sitting next to them when it happened. "She didn't know what was going on," he said. He took the 3-year-old's body to the oil tank and dropped her inside. He then killed 4-year-old Bella the same way and dropped her body into a separate oil tank before burying his wife's body, he told investigators. "Couldn't have I just saved my girls' life?" he asked. "Couldn't I have done something? Why did I...I don't know. Like this is my flesh and blood, this what...like, what I wanted all my life is to be a dad, to have kids and they love me...nothing made sense. Like the oil tank, nothing made sense." Chris went to Pine Forest High School in Fayetteville and graduated in 2003. Shannan was raised in Aberdeen and attended Pinecrest High School in Southern Pines. The couple met in North Carolina before moving to Colorado to raise their daughters. Shanann was dropped off at her home around 2 a.m. on August 13 after returning from a work trip in Arizona. Chris initially said he last saw his wife around 5:15 a.m. that day, when he left home. He said Shanann's friend stopped by around noon asking where she and the girls were. Police said the friend went to Shanann's after she missed a doctor's appointment. She was the one that reported her and the girls missing. Officers went to the home for a welfare check later that day and confirmed that the three were missing. Their bodies were later found on the property of Anadarko Petroleum, one of Colorado's largest oil and gas drillers - a previous employer of Chris.